Your skin and hair deserve to be cherished, nourished and replenished. That is why we go to great lengths to source and blend nature's finest active botanicals with potent Dead Sea Minerals. 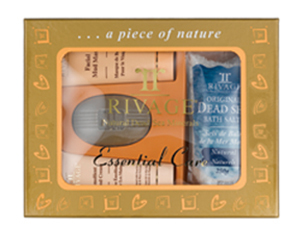 Rivage began in 1996, when we were inspired by the power and results of the Dead Sea to transform the health of our skin and hair. The Dead Sea is the beginning of natural skin care - a healing and medicinal natural spa that has been celebrated since 3000 BC. Our skincare products are a fusion of the ancient and the modern. The minerals and botanicals that enhance our skincare blends are as old as time, but they are optimized and refined by our laboratories to deliver a remarkable home spa experience. Each product in our range is carefully engineered to work in harmony with your skin's natural qualities to renew, detoxify and nourish your skin, naturally. To harness the best of nature, and to use science to advance the effect of Dead Sea minerals by blending them with botanical extracts. To consistently develop high-quality, high-performance products and treatments. To develop skin and hair care products to treat a range of conditions and suit a variety of needs. To embrace social responsibility by building a business which is sustainable for the environment and our communities. Our mission is to help you reveal your inner beauty with natural high-performance skin and hair care products. There is only one Dead Sea, and it's our mission to enhance the benefits of this outstanding natural resource and make it available to all. Our devotion to beauty, nature and high performance products is matched by our dedication to enhancing ancient remedies and protecting the Dead Sea environment. The Dead Sea, where our core minerals originate, is an ancient salt lake and the world's largest natural spa. The unique environment of the Dead Sea produces a rich mixture of minerals which help to clarify, stimulate, nourish and replenish your skin. We blend these minerals and Dead Sea mud with botanical extracts sourced from around the world. The fusion of minerals, mud and botanical extracts is what gives our products their astonishing potency. Your skin is a highly effective barrier. Co:dermal is our method for delivering natural minerals and botanicals beyond the barrier, to where your skin needs them most. Co:dermal means combining active ingredients so that they work in partnership with each other to deliver visible results. Co:dermal opens your pores and activates your skin, allowing the minerals and botanicals to cleanse, nourish and revitalize your skin from within. Your body and your beauty are two of your greatest assets. We believe that skincare is about enhancing, supporting and enriching your natural beauty and well-being - helping you reveal your inner beauty. 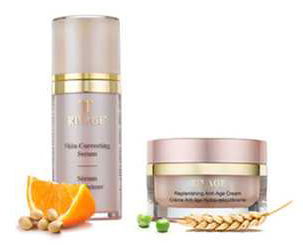 Each Rivage product is carefully formulated to nurture and replenish your natural beauty and mind, helping you to feel empowered, desirable and confident, every day. The Dead Sea is a true wonder of the natural world. As well as being one of the saltiest bodies of water in the world, the Dead Sea is located at Earth’s lowest point, 410 meters below sea level. The Dead Sea is so-called because its hypersaline waters are inhospitable to marine life. In this rare environment we find mineral-rich salt and mud, hypersaline water, reduced solar radiation and a higher concentration of oxygen. For millennia the Dead Sea has attracted people looking for relaxation and optimum well-being. Cleopatra prized the formidable restorative powers of this extraordinary natural spa, while travelers have visited its shores to benefit from the rare 21 minerals that can be found in the water and mud. And today the Dead Sea is as popular as ever, drawing visitors from around the world in search of natural healing and rejuvenation. Since the dawn of civilization the Dead Sea has attracted people seeking relaxation and healing. The three key elements: mud, water and salts combine to confer a wide range of health benefits, many of which have been assessed and confirmed by independent research. The salts, which include potassium, magnesium, sodium, calcium and bromides, are used to treat psoriasis, dermatitis, dandruff, eczema, acne and seborrhea. The salts moisturize, soften and detoxify while promoting cell regeneration – ideal for reducing the appearance of fine lines and wrinkles. The mud is formed over thousands of years by the subtle interplay of the sun, the soil and the springs and rivers that feed into the sea. The nutrient-rich clay absorbs pollutants, fat and secretions from the skin due to an osmotic effect that draws impurities away from your skin. The water is home to few organisms because of its high salt content. One of the few organisms that can survive in the hypersaline water of the Dead Sea is Dunaliella salina, a type of micro-algae which is a rich source of beta-carotene and a powerful anti-ageing element. When the salts, the mud and the water of the Dead Sea combine you get a remarkable source of beauty-enhancing, age-delaying and skin-nourishing materials. We use these elements to activate the natural repair process, accelerate cell regeneration, regulate moisture levels, prepare the skin for nourishment. This is the essence of our Co:dermal formulation methodology. Our research and development work continues, as we constantly search for nature's most effective skin treatments and refine and combine active ingredients using our Co:dermal formulation methodology. Co:dermal is our technique for delivering nutrients to where your skin needs them most. This involves blending our skincare products so that the skin is prepared and activated in order to receive the benefits of our active ingredients. Quality is at the heart of our brand. That means we constantly strive to find the best ingredients, suppliers and industry experts. Our products are tested at every stage - from formulation to production - by a team of scientists and skin experts to measure their effectiveness. All products are tested to ensure they are effective, safe to use, and do not cause allergic reactions. And of course we never test our products on animals. Our mission is to bring out the best in nature, so we can bring out the best in you. Nature gives us the raw materials - the exceptional botanical extracts and rare minerals that soothe, moisturize and heal your skin. Science gives us the expertise to understand the power of the Dead Sea minerals and botanical extracts at the heart of our products. By blending nature and science we can produce natural products that deliver remarkable results, time after time. The salt, mud and water of the Dead Sea contains 23 minerals, 12 of which do not exist in any other sea in the world. These minerals include magnesium, potassium, chloride, bromide, calcium, sodium, and iodine. Together these minerals accelerate cell metabolism, regulate water balance, relieve and heal skin disorders and stimulate the natural repair process. Our Ecocert Dead Sea mud offers your skin a unique blend of minerals and compounds. This material, which is world-renowned for its healing and restorative properties, forms the basis of all of our products. protects cells and maintains healthy nerves, which in turn supports your circulatory system and is used to treat skin conditions such as eczema and psoriasis. heavily concentrated in the Dead Sea, sodium helps to balance your skin's moisture levels while improving elasticity and suppleness. in addition to stimulating the nerve system, potassium balances the oil levels in your skin, which helps to maintain moisture levels while protecting against conditions such as acne. speeds cell metabolism and boosts protein synthesis which reduces skin redness and irritation. Magnesium also soothes the nervous system, helps your skin retain moisture and slows the ageing process by promoting natural skin rejuvenation. strengthens cell membranes and promotes skin renewal. Calcium also cleanses pores and provides a natural defense against cold, dry or polluted environments. Calcium also reduces free radicals, boosts blood circulation and helps your skin to remain moisturized. protects cell membranes and maintains tissue elasticity, which in turn help to relieve conditions including psoriasis and eczema. supports the production of collagen which can delay the ageing process. Manganese aids the production of connective tissue and its anti-oxidant properties also nourish your skin. activates cell membranes, stimulates elastin and collagen in your skin and has anti-pigmentation properties which fight the ageing process and combat free radicals. promotes collagen production and natural skin rejuvenation while repairing damaged cells. Zinc can be helpful in the treatment and prevention of hair loss and acne. promotes collagen production to help your skin stay soft, smooth and youthful. Sulfur also promotes healthy skin by eliminating bacteria and fungus, while encouraging skin renewal. helps to relax stressed muscles and stimulates natural skin rejuvenation. The anti-inflammatory properties of bromine soothe your skin, making this a popular treatment for rheumatic conditions. Cleanses and hydrates the skin. Also nourishes skin and hair. 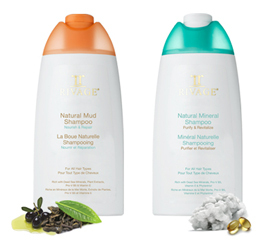 At the heart of Rivage products are our active ingredients. We draw from 64 natural ingredients and blend them carefully with Dead Sea salts and mud so they deliver remarkable results. The active botanical extracts that we harvest from around the world provide effective natural remedies for common skin conditions. These herbs and plant extracts have been used medicinally for centuries, and today we blend them with our unique Dead Sea minerals.